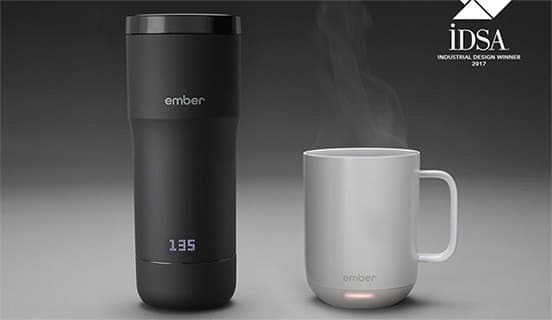 If the idea of a smart coffee cup sounds silly, you probably haven’t tried the Ember Ceramic Mug. Envisioned by the San Francisco design studio, Ammunition, it has a built-in heater to keep coffee warm for hours, but otherwise looks and feels like any other mug. The Ember Ceramic Mug was designed to last for one hour when poured in hot at a set temperature of 54°C. It is also comes with a re-charging coaster. A breakout consumer hit (it sold 110,000 units in the first six weeks following its November 2017 release), The item is now sold at the Apple Store, 4,600 Starbucks locations, and Tmall, in China.